very interesting interview by Bits&Bytes’ Amer Grgic with UN-SENSE‘ Roger Tan; illustrating their philosophy, research and product-development. being human; or Descartes vs. Arendt. EC’s Nicole Dewandre presented a fine lecture on human values at the IoT & Built Environment conference on April 9th. 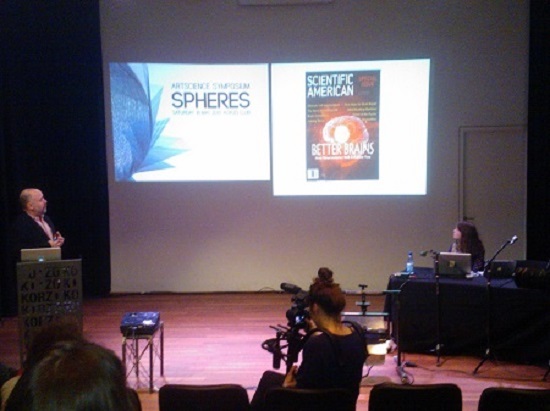 2013 in Rotterdam; on July 2016 she gave a TEDX-ULB-lecture concerning the changing definitions of humanity, ‘talking’ to Descartes and referring to Hannah Arendt’s view of the relational self. A changing world requires a renewed thinking on what it means to be human in a hyperconnected era. on November 4/5 the Dutch Performance Group Urland will perform the 3rd. part of their trilogy: the Internet of Things cycle; Prometheus, the Firebringer. in the Theatre Rotterdam. What happens when Artificial Intelligence becomes self-conscious; when objects become addressable, who becomes master and who becomes slave? On November 4th. I will take part in the discussion afterwards: what is the impact of technology on the arts and – above all – our imagination? A most interesting article published last month, on Sept. 27th. : “Technology will not save us“, by Michael Sacasas on “The Frailest Thing’. “Entering the complex and messy realm of of human desires and cultural dynamics”, Sacasas argues that “technological determinism is the product of cultural capitulation. It is symptom of social fragmentation.” Referring to Ellul and Winner he states that “due to a focus on technological innovation our society is in thrall of technique.” (ital orig.) With regard to architecture this is in any case a most valid statement, as the recent EC-discussion has illustrated. Yesterday, Jan.19th, the New York Times; the next article in a long row about our homes becoming ‘smart’. What usually is forgotten in all of these wishful-thinking business-oriented thoughts is that a home is more than the sum of bricks, mortar and technology. Our house is not a home because we can automate the lights and the refrigerator, but because we live in a sphere we call our own. Technology in our homes should focus less on practicalities and more on adaptability, experience, imagination. Tuesday, July 9th.2013; after the first presentation on Feb. 8th. 2013 a one-day conference chaired by Prof. Luciano Floridi on the EC’s Onlife Initiative Manifesto in Brussels to proceed, gather critical expertise to discuss matters further and draw policy ideas. One day of inspiring discussions on “what does it mean to be human in a hyperconnected era”; largely based on the work of Hannah Arendt. The urge/need to add architecture – as in build environment – to the core of the Manifesto was acknowledged; being human implies the need for private space, hence some kind of architecture. See for further content the Futurium website.